This is one of the most common shoulder problems causing shoulder pain. What happens is that the bursa between the rotator cuff and acromion is squeezed. The background for this can be too much bone has grown into a ligament (Acromioclavicular ligament) and the space gets too tight causing the bursa to get inflamed and swollen resulting in pain. However the most common background for the impingement is unbalanced muscles that controls the scapular position on the breast wall. Then the scapula is tilted and again this makes the bone press upon the bursa. (Wrong body position here among having weakness in the M. Trapezius inferior and M. Serratus anterior). The pains typically has an insidiously progres (computer work), but the pain can also be provoked by a fall or hit. Commonly there is pain while resting and the pain is localised on the outer site of the upper arm. Typically the pain is aggravated and the armed is exhausted, working over shoulder height. The impingement shoulder problem is initially treated by steroid injections (ultrasound guided) and physiotherapy. The steroid reduces the pain of swelling the bursa, making the physiotherapy guided shoulder exercises more easy to perform. If you are not recovered by those treatments a shoulder arthroscopy consisting of removal of the osseous spur (acromioplasty) in order to gain more space. This is a disease that often starts with heavily shoulder pain. The pain slowly decreases over the first three month and simultaneously the shoulder gets stiff and the only movement in shoulder is between the scapula and the breast wall. The cause of the disease is unknown. In most circumstances there will be spontaneously recover within a year. Intraarticular steroid injections can reduce the pain. By a shoulder arthroscopy the tightened capsula tissue can be loosened and the range of movement can be instantly normalised and the pain can be reduced. The gain by doing surgery is “only” time - in the end the is no differences between surgery and just waiting for spontaneously recover. SLAP lesion is an abbreviation and is also called labral tear and some call this the meniscus tear of the shoulder. SLAP lesion is commonly overlooked type of shoulder injury. The shoulder injury is typically a result from a fall or a heavy pull in the arm, but sometimes the SLAP injury is just happening without a specific trauma. The pain is often described a pain deeply into the shoulder joint and the can feel like catching and clicking. Sometimes the pain is more unspecific and can go up to the neck or down into the arm. The diagnosis is often difficult, but using a combination of trauma, symptoms and clinical examination can be significant. The SLAP lesion can sometimes be clearly identified by MRI scan but is frequently not visualised. Even by shoulder arthroscopy the lesion can be overlooked. When the shoulder dislocated the labrum is normally torn off in the front of the shoulder bowl. 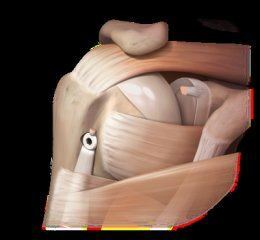 The shoulder capsule and the ligaments attaches on the labrum and when the labrum tears the ligaments gets loose. 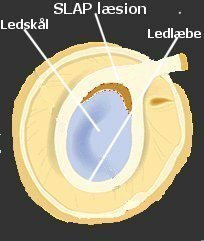 When the labrum heals back to the bowl it always heals in a new position (Bankart lesion) making the shoulder more loose. Therefore the shoulder will be prone for new dislocations. The younger you are the prone you are for re-disclocations and if you are below 30 years the will be a nearly 80 % risk of a new dislocation. For every dislocation the shoulder will gets more loose. 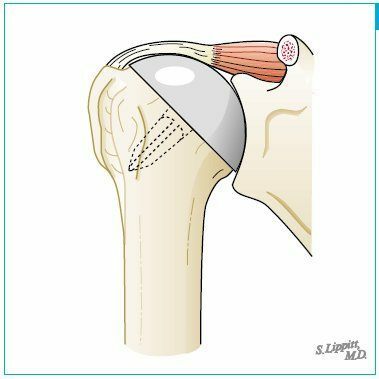 The surgical treatment for stabilising the shoulder is primary done by arthroscopic surgery, but in more severe cases with loss of bone (bony Bankart and huge Hill Sachs) the treatment can be done by a Latar Jet procedure. The arthroscopic treatment consist of loosening of the labrum from it wrong position and re-fixation at the normal anatomic position with some suture anchors. Since the ligament and shoulder capsule attach to the labrum those will automatically become tightened and this will stabilise the shoulder. 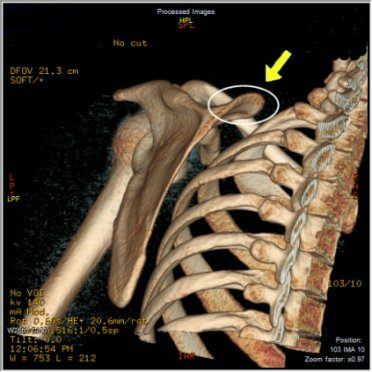 Before surgical treatment is considered it is important to diagnose the type of lesion in the shoulder in order to plan for the right surgical intervention. Special lesions like osseous Bankart, posterior Bankart, hypermobility and HAGL lesion need to be diagnosed before surgery. The treatment of those injuries will not be explained here. 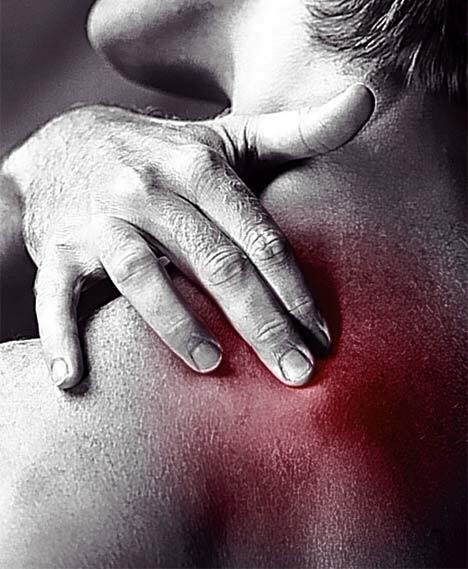 Osteoarthritis in the shoulder is a slowly progressing disease causing increased shoulder pain and reduced range of movements. Often the cause is unknown, but a previous shoulder injury is a well known factor. 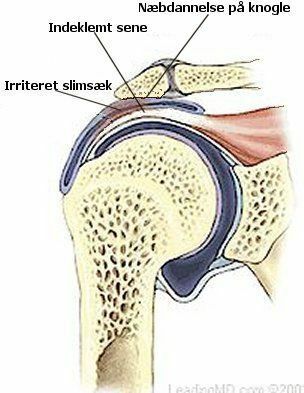 The cartilage in the shoulder that help with a smooth movement is weared. An X-ray will confirm the diagnosis. The surgical treatment consist of removing the weared cartilage and replace it with metal. The surgery will often increase the range of movement and reduces the pain. In some cases an arthroscopic housecleaning and biceps tenotomy can reduce the pain. 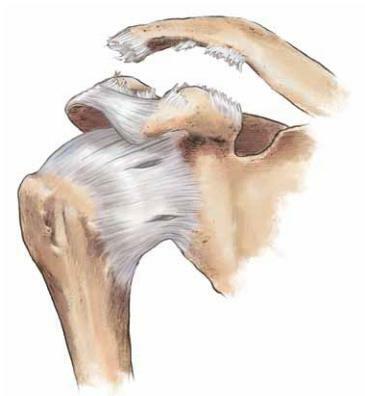 The AC joint can be torn by a fall on the shoulder and in more severe cases it will dislocate. The outer end of the collar bone will become prominent. The is a typical injury in sports like MTB, motocross and alpine skiing etc. What happens is that 1 to 3 different ligaments is torn. If one ligament is torn the collarbone will not change position. If 2 ligaments is torn the AC joint will be subluxed. If 3 ligaments is torn the collar bone will become clearly dislocated and it look very dramatic. It can become really confusing for you when the doctor in the emergency department tells you that this is not going to be treated by surgery. 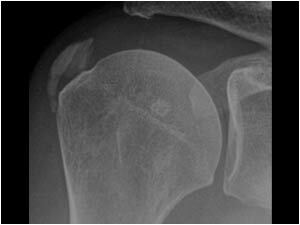 However most patients will become pain free and with normal shoulder function without surgery. However for those who continue to have problems af 3 to 6 month of expectation, the problem needs to be treated by surgery. In most cases my recommendation will be a Weaver Dunn procedure and I only do reconstruction with hamstrings graft for revision cases. The AC joint (acromioclavicular joint) is the small joint between the collarbone and the shoulder blade. You can injure your AC joint by a fall etc and a small meniscus like structure in the joint that can be torn. Often you will have pain in the top of the shoulder and it can radiate to the front of the shoulder and towards the neck. Often your pain is provoked during sleep on the affected shoulder, push ups and movement with the arm towards the other shoulder. Your AC joint pain can also be induced by wrong body position with protraction of your shoulders, and this makes your joint to become compressed and overloaded. In those cases your body position needs to be corrected by physiotherapy guided training. AC joint osteoarthritis is very common and often you will not have any symptoms. However in some cases you can have severe pain. The treatment of your AC joint pain is first of all correction of your body position, avoidance of the movements that induce the pain. A steroid injection combined with local anesthetics can help confirming the diagnosis and sometimes one or two injection is enough and the pain will never come back. If your pain continue you can be easily treated by arthroscopic surgery. By this your outer end of the collar bone is resected and the gap will be fill up with scar tissue that act as a buffer. This is a build-up calcium in your rotator cuff tendon (calcific deposit). Why it builds up is unknown. The calcific deposit is causing increased pressure and inflammation and sometimes the pain can be very intense. The diagnosis is done by ultrasound and/or x-ray. Sometimes the deposit can be sucked out by needle extraction during ultrasound. If the calc is to0 hard you can reduce the inflammation by steroid injection. Your calcific deposit can be resolved spontaneously by sometimes it needs to be removed by arthroscopic surgery. This is a more rare and special cause of pain behind your scapula. Your pain can often radiate to the neck and you can have a sensation of something filling up behind the scapula. You pain is coming from the bursa that is localised between the scapula and the thoracic wall. Your pain can be provoked by sitting in a couch. Often you problem is based upon shoulder muscle imbalance, that makes the scapula articulate too tight on the thoracic wall. You can have this corrected by physiotherapy guided exercises (it takes month). The pain can often be reduced by a steroid injection into the bursa. In more chronic cases surgery with arthroscopic resection of the chronic inflamed bursa and eventually also resection of a bone spur, can be a solution. 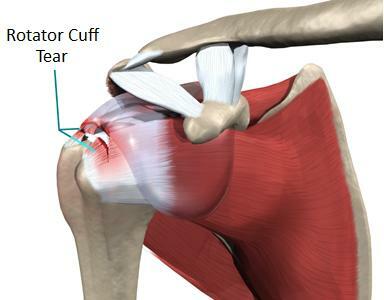 The shoulder is a joint that can cause a lot of misery. I have spent many years becoming proficient in the assessment and management of shoulder problems.